By Mail or Online. Mail your completed registration form with payment to Conference Office, UGA Tifton Campus Conference Center, 2360 Rainwater Road, Tifton, GA 31793-5766. Make checks payable to UGA TCCC/Corn. 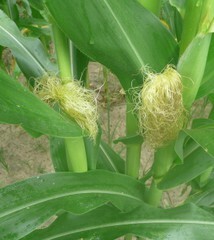 You may also register on-line at www.ugatiftonconference.org – click on registration for the Corn Short Course. The registration fee includes instruction, refreshment breaks and registration. The fee is $5. Registration at the door will be $10. You can have someone substitute for you at any time – just call and let us know. If you must cancel, please notify the Tifton Campus Conference Center Office by January 22th at 229/386-3416. Special arrangements for people with disabilities will be made if requested in advance. 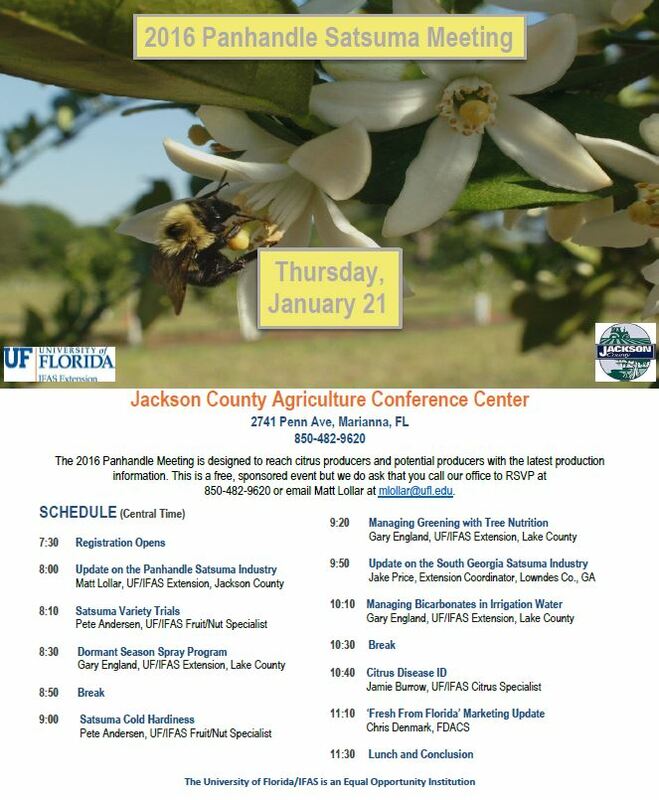 For these arrangements or more information, call the Conference Office at 229/386-3416. 8:45 a.m. 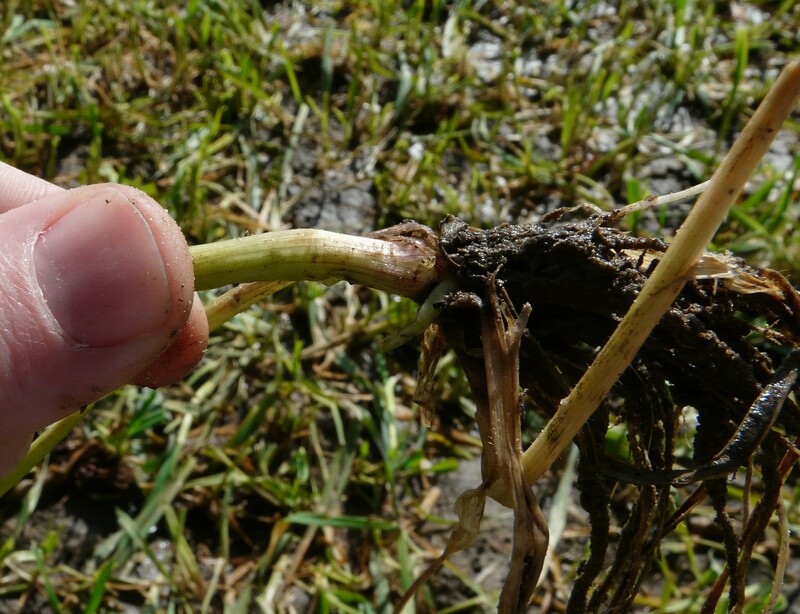 Managing Nematodes and Foliar Diseases in Corn. Dr. Nathan Smith, Ag Economist, Clemson University, Columbia S.Car. 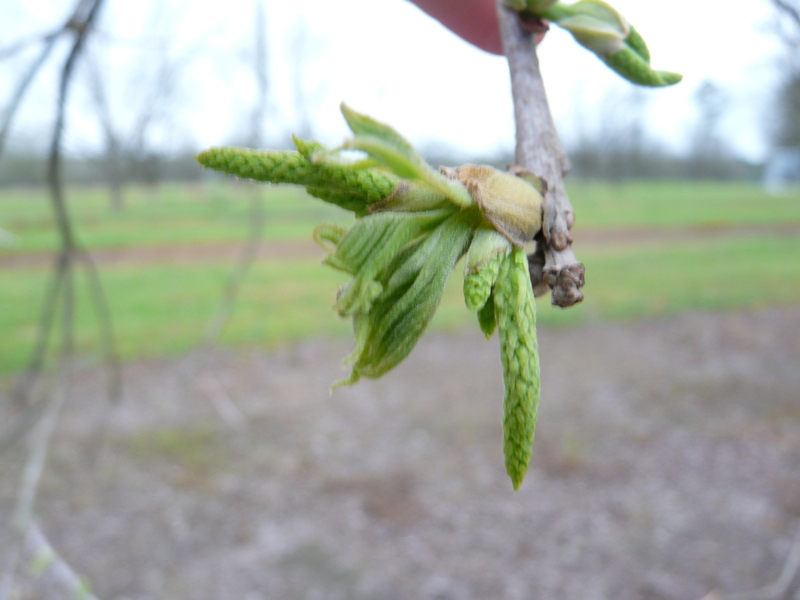 Historically, pollination has been overlooked when planting pecan orchards. The increased production from having the right pollinators in the right place is not always something we notice unless we have something to compare. The effects of poor pollination are obvious in some years more than others when spring weather conditions disrupt pollination. 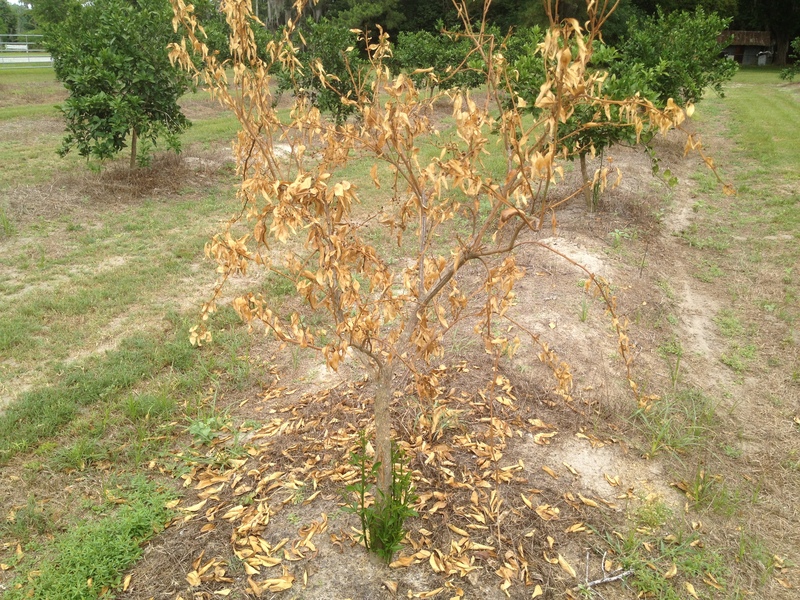 I often hear someone say, “There are plenty of seedlings scattered around near my orchard to pollinate my trees.” Just because other pecan trees are around does not mean they are pollinating the trees in a particular orchard. In order to get effective pollination, the female flowers in an orchard must be receptive to pollen from another tree at the time other trees are releasing pollen. Pecan trees will self pollinate; however, a large percentage of these nuts fail to develop, abort, drop off, or fill poorly. Pollinators must also to be in the right place. Research has shown that pecan trees need a pollinator within 150 feet. This is why we recommend placing a pollinator at every 5th tree on every 5th row if you prefer planting a solid block of one cultivar. On the other hand, if you block multiple cultivars in an orchard, change cultivars about every 4 rows. Pecan trees usually release pollen for 5-6 day,s and female flowers may only be receptive for as little as 4 days. 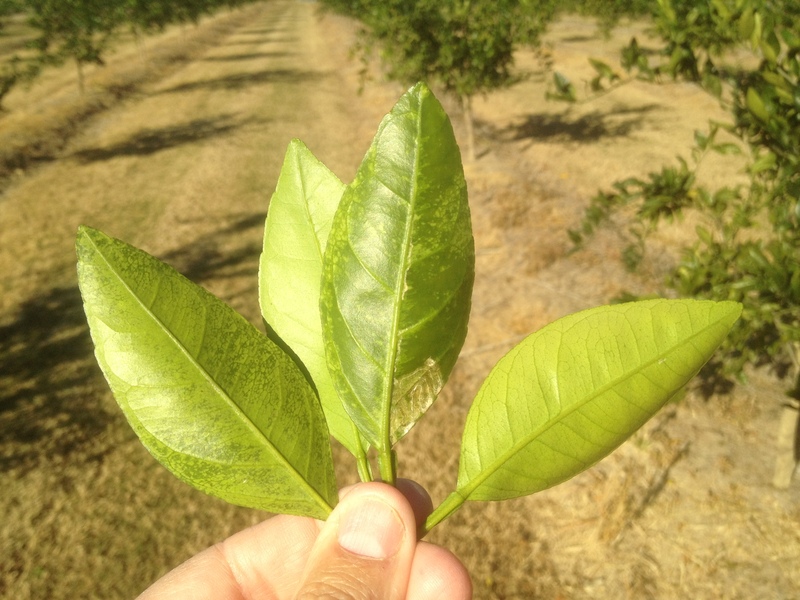 Just a few days of the wrong weather conditions can wreak havoc if we have just a couple of cultivars in the orchard. This is why we recommend planting at least 3 cultivars in an orchard when possible. The greater the diversity of cultivars, the more we spread the risk. Click on the pollination chart here to see which cultivars serve as pollinators for each other. 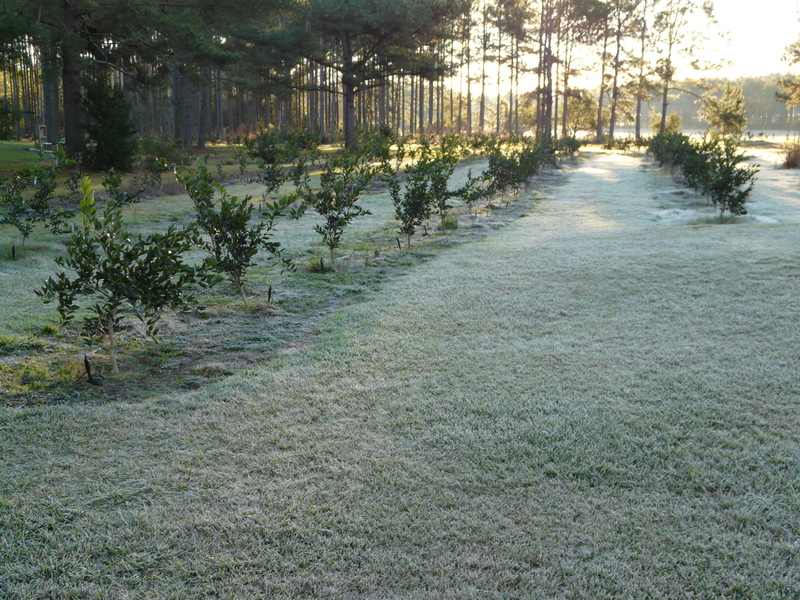 We had a few frosts this week. 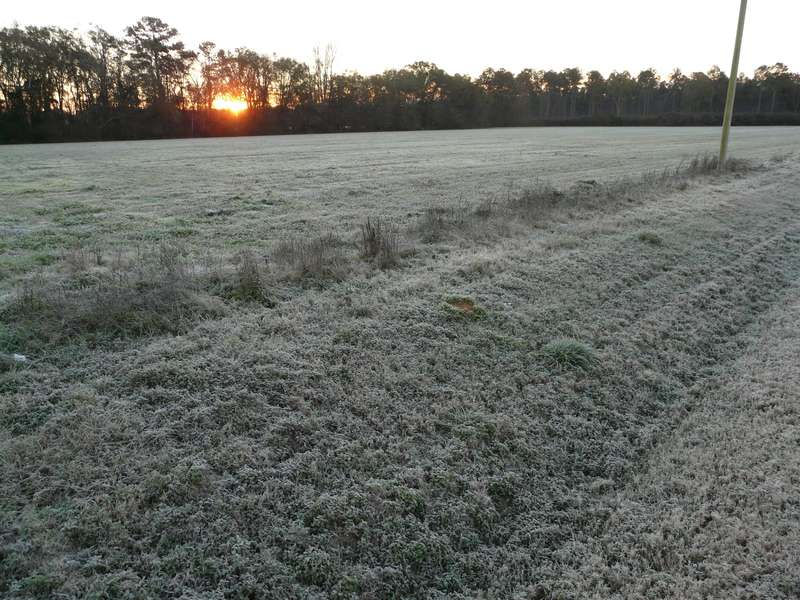 With record warm temperatures in December, this cold is going to help some of our winter crops claim some chill hours. We’ve also been having plenty of rain as El Nino was predicted. Here are some screen shots of rain, temperatures and chill hours from the Dixie weather station from www.georgiaweather.net. You can see how much lower chill hours are as were last winter this far. The ’12 to ’13 winter was also warm. Here are some oats I looked at today. Overall, they look good. Fields are wet and we need to watch for compaction. And we need to watch our grazing. To determine when to pull cows off, we look at the node or joint inside the stem of the plant. This is the growing point, and it feels like a bump or bee bee inside the stem. We don’t want them to graze lower than the growing point. In the picture below the joint is between my thumb and the roots. 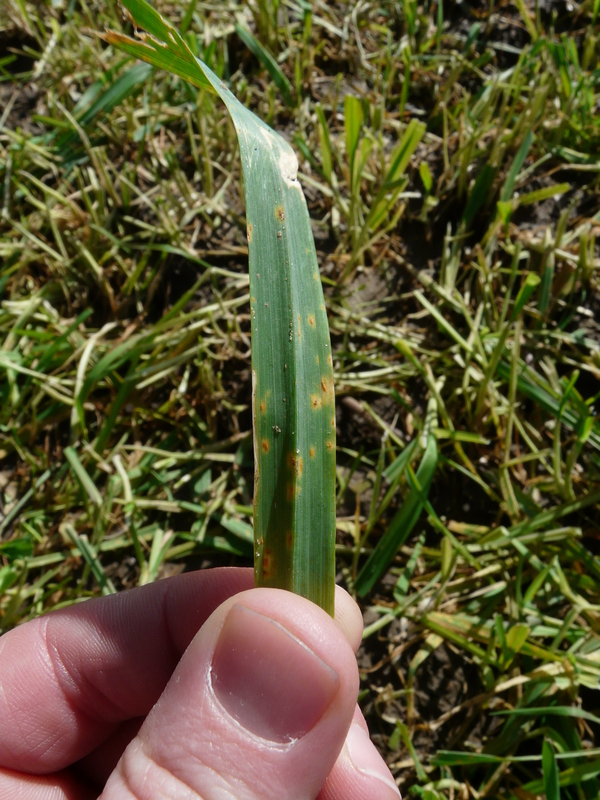 I also see a little crown rust showing up. 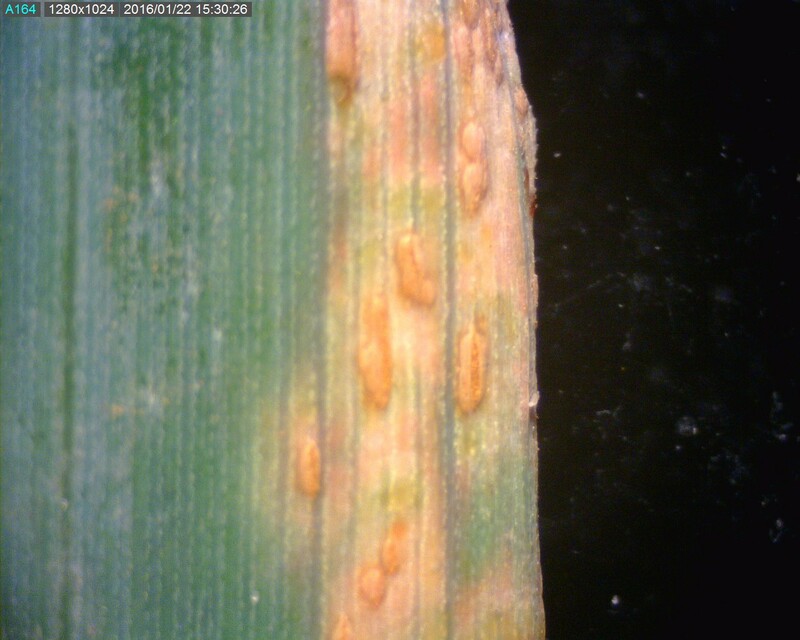 These orange/red pustules on the leaf resemble that of aphid feeding. The rust pustules will rub off on your finger. They are also raised above the leaf. 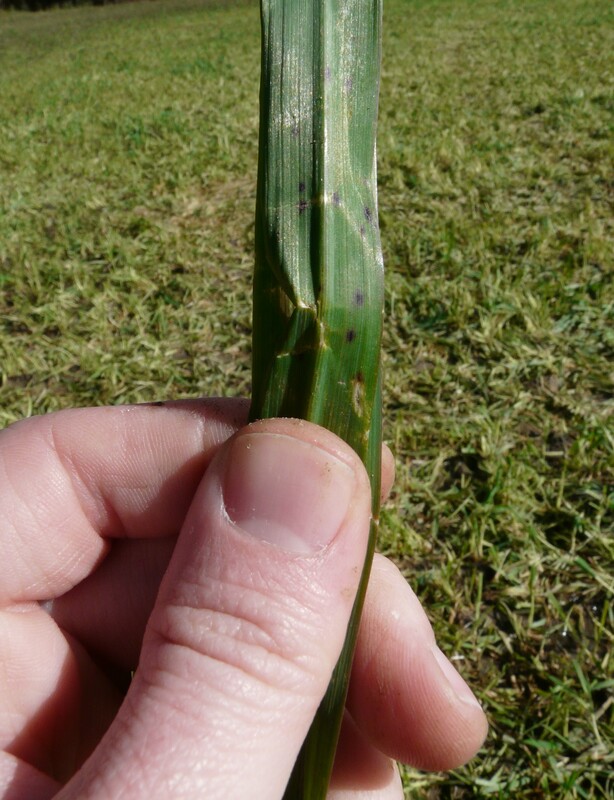 Crown rust will cut back on yield even in grazing, so we have to graze heavily when rust is seen so we remove the leaf tissue where spores land. I took a picture of these satsumas Tuesday morning. The temperature that morning was 29 degrees. Once temperatures get down to 24 and 25, they will cut on the irrigation as a form of cold protection. Previous cool weather allowed the plants for some cold acclimation. Cold acclimation is very important for citrus. The sudden, hard freezes in November 2014 hurt us so much more, because plants were essentially not ready for the cold. A few nights in the upper 20s is good for our citrus. 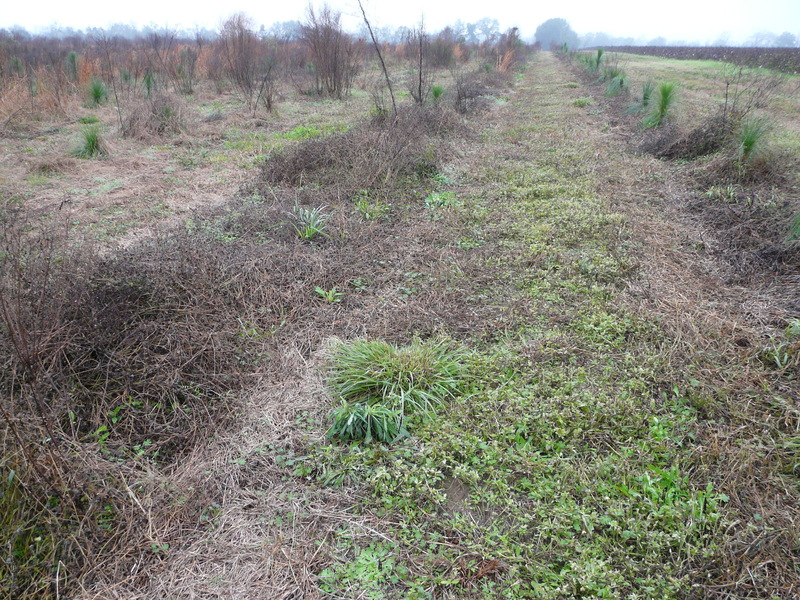 When growers purchase trees and plant them, the thought of cutting off a portion of these trees causes them to shudder. This reaction is easily understood. I have read lots of scientific papers on pecans, including many on tree planting techniques. I have planted thousands of nursery trees, some pruned and some not pruned. Based on both scientific results and practical experience, I can tell you without question, that if you do not prune the tree at planting you are doing that tree and yourself a grave disservice. As trees are dug from the nursery, they lose a portion of their root system and undergo what we term “transplant shock” as they are removed from one soil environment to another. Pruning the top of the tree by 1/4 to 1/3 alleviates the stress this generates and allows the root system to support the growth that tree puts on. There is nothing magical about 1/3 or 1/4. It just depends on the tree. You may need to remove as much as 1/2 of a 10-12′ tree at planting. The tree then puts its energy into developing strong, new shoots as opposed to just trying to keep itself alive. The result is a much more vigorous tree. By contrast, trees that are not pruned at planting usually take longer to begin growing and develop multiple weak, short, shoots as it struggles to survive. 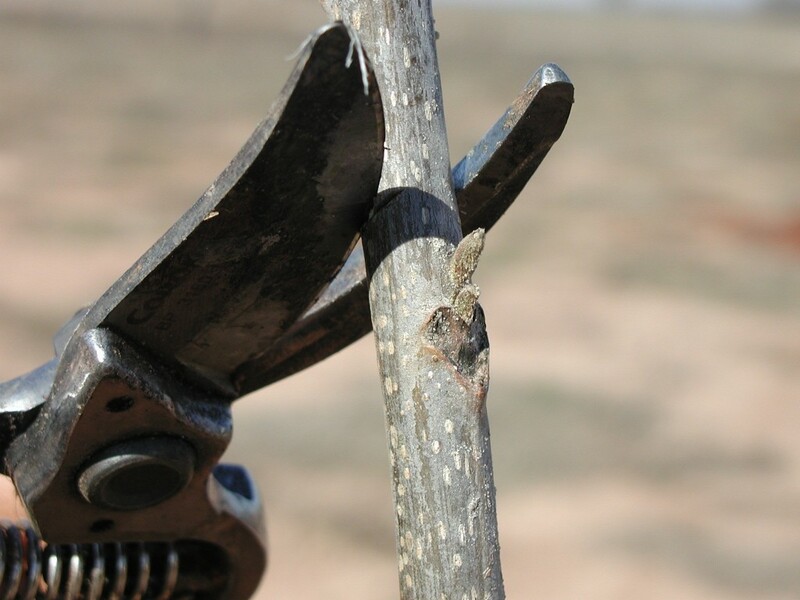 We used to recommend (and many growers still follow) the practice of pruning no more of the root system than you have to in order to get the tree in the hole. But, based on research by Dr. Mike Smith at Oklahoma State, we’ve changed that recommendation. For several years now, we have promoted the pruning of roots at planting. “Pruning of roots?”, you say. “Didn’t you just say the tree loses some roots at planting”? Yes, I did. But, that’s not necessarily a bad thing. When you prune a tree, whether the cut is on the stem or on the root, you stimulate growth. 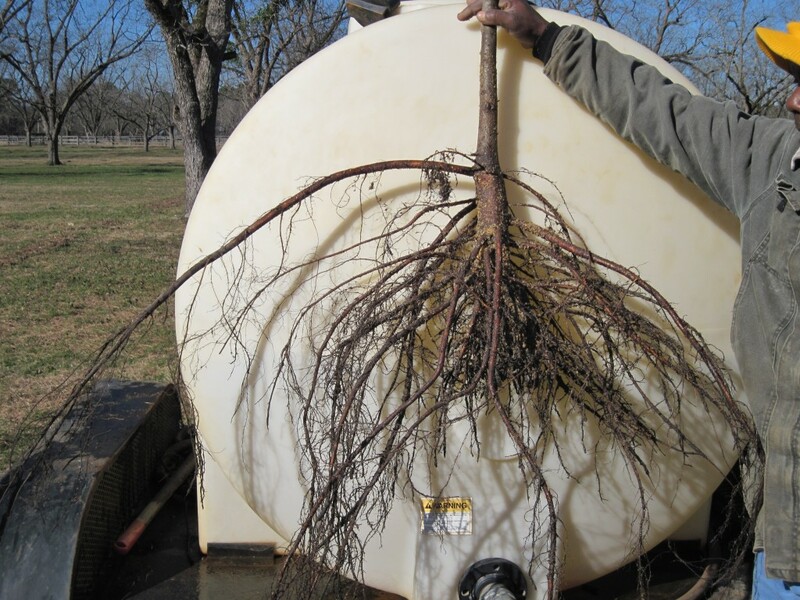 Pecan trees will grow without pruning the roots at planting, but Dr. Smith’s work showed that when you prune the taproot to 18″-24″ and remove the lateral roots (at least by 1/2 the length), the tree is more vigorous and grows much better. The reason is that the tree’s new roots develop from the cut surface. 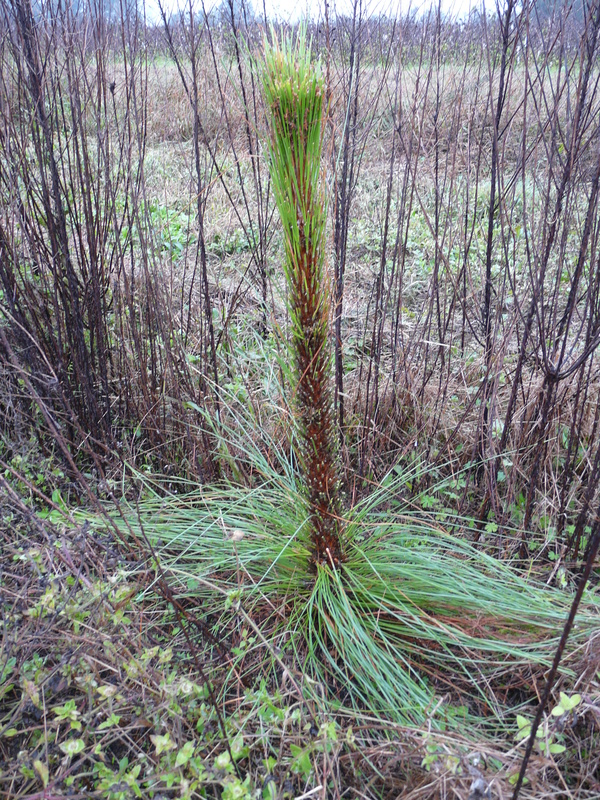 And tree survival & growth depends on new root development, not the existing root system. This also allows you to dig a smaller hole (no more than 24″ deep). When you prune the roots, pruning the top of the tree becomes even more important because you are removing more of the root system. The goal is to stimulate growth and relieve stress. 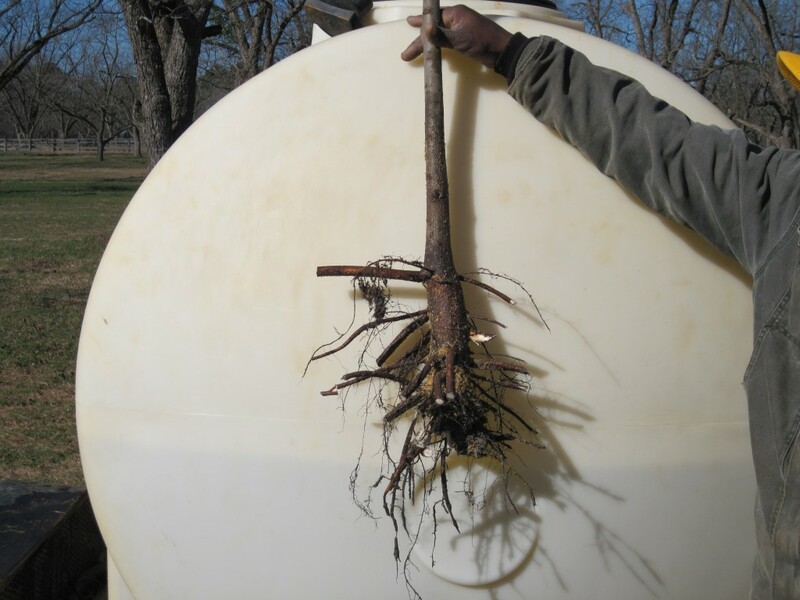 Planting by proven methods such as these will do a lot more for getting pecan trees off to a good start than any fertilizer or “miracle” snake oil product you can use. 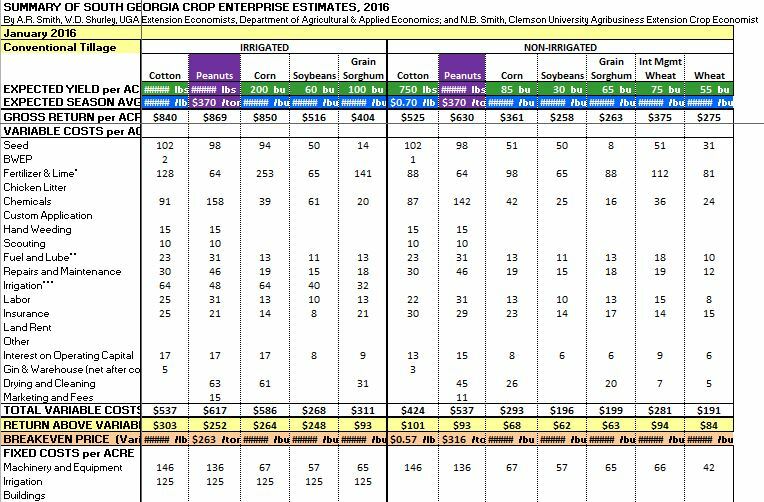 Here is the 2016 Crop Comparison Tool and Row Crop Budgets from UGA Extension Economists Amanda Smith and Dr. Don Shurley. You can go to the link and download the comparison tool and customize expected yield and prices. The 2016 peanut, corn, grain sorghum, and soybean enterprise budgets are also complete. One of the foliage feeding pests Dr. Moorhead discusses at our Forestry Meetings is the redheaded sawfly (Neodiprion lecontei (Fitch)) . It is actually a broadwaisted wasp which feeds on the needles of newly established pine trees. UGA Extension Forester Dr. David Moorhead said environmental conditions are good for sawflies right now. 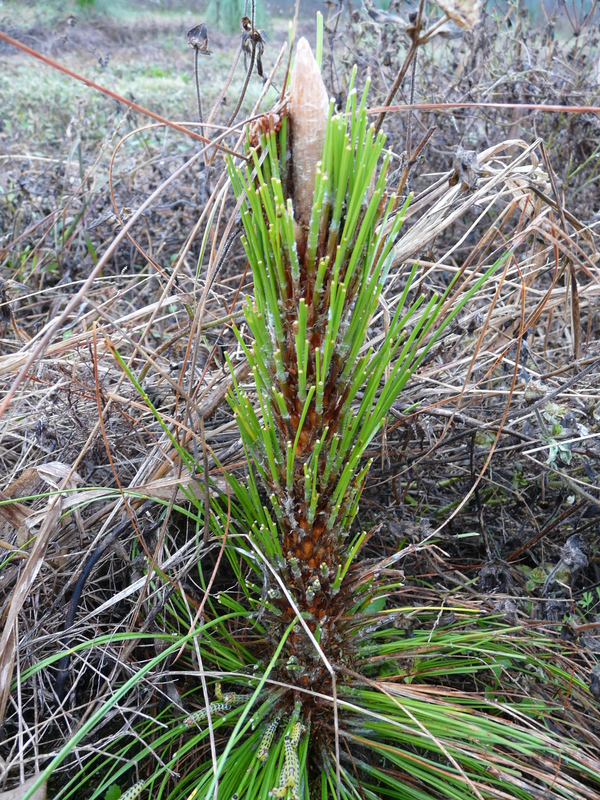 This morning, we looked at a stand of 2 year old longleaf pines. 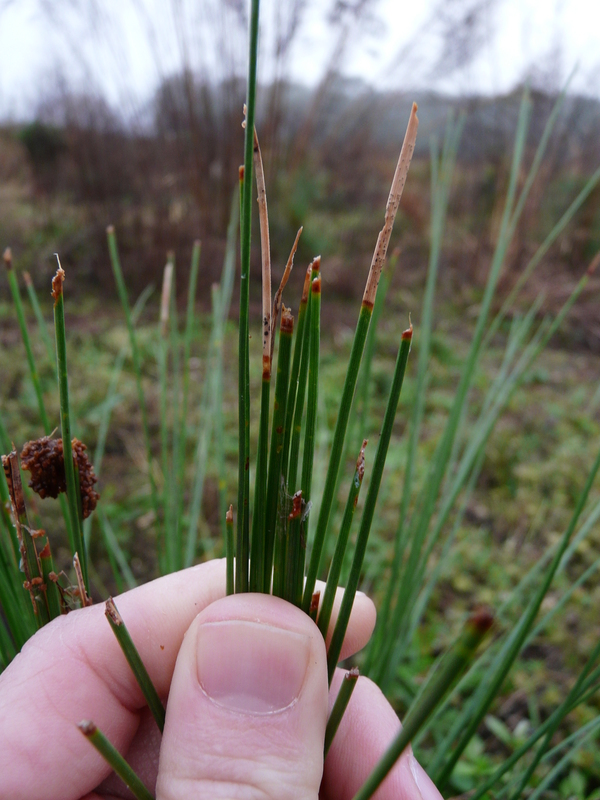 The larvae of the sawflies chewed the needles back to the fascicle. 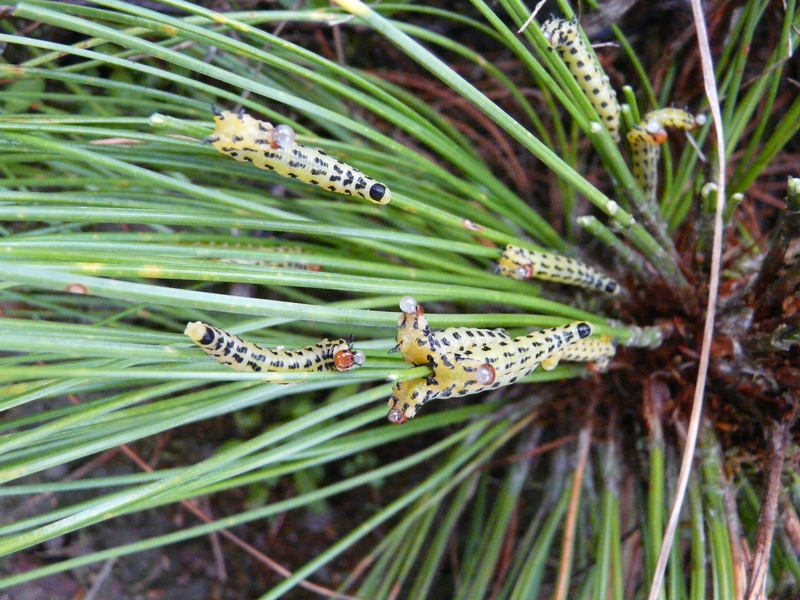 There are many species of sawflies, and they are very selective in which pine species they feed. They are also treated the same way. They are very susceptible to different insecticides. Their infestations are generally localized, much like an Ips beetle. If the tree is not under stress, it can usually withstand this much damage. Some species have 1 gernation/year while others as much as 3 generations/year. The redheaded pine sawfly has an olive green body with black stripes or a row of black spots on each side. And a large, black spot on the last body segment. 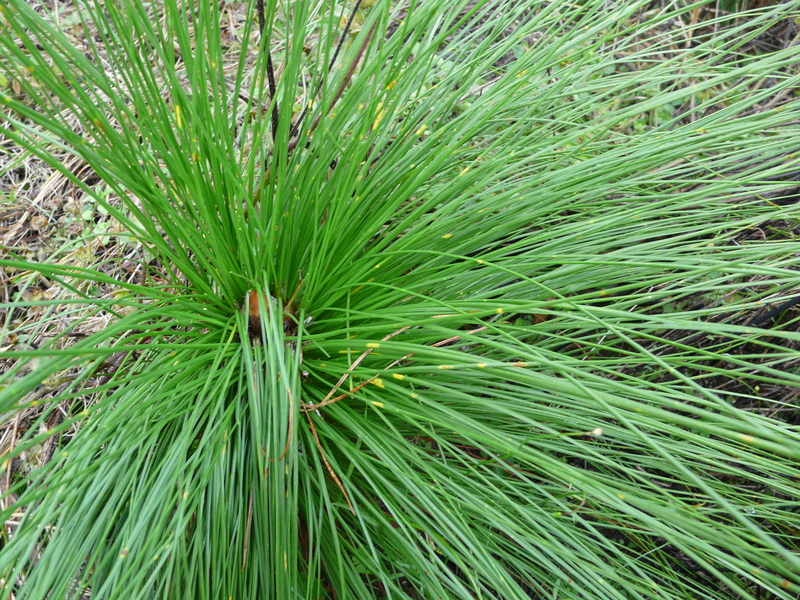 Hosts of this species are loblolly, slash, and longleaf pines. They occur from Virginia to Florida and west to Arkansas and Texas. Some of our insecticides used do not have a long residual – maybe 2 weeks (depending on rain and sunlight). It is best to treat each tree with active infestations. However, you may see some yellowing within the needles. The female adults have an ovipositor that is serrated which allows them to saw little slits in the needles were eggs are laid. This is how they get the name “sawflies.” Yellowing inside the needles are where females have laid eggs. For more information visit Conifer Sawflies on the Center for Invasive Species website.